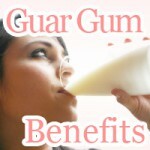 Want to know how to get the feeling of a free stomach even though you are eating less. You can do it simply by choosing to switch to brown rice. 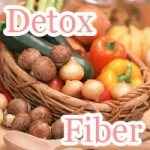 Enough dietary fiber to clean your digestive tract. Wouldn't it be nice if all it took to slim down, slowly but surely without haven't to do things you are going to regret later, was eating brown rice? If it were that easy, then everyone would be doing it. Lose weight by simply switching to brown rice as a staple food. Choosing brown rice over its white counterpart, white rice is what the brown rice diet is all about. It is said that brown rice contains on average contains over twice the nutritional value of white rice. Boost your metabolism and set yourself up in a position to lose weight. For people looking for a healthy way to slim down, taking up the brown rice diet is sure to produce weight loss results. Similar to brown rice are an endless assortment of healthy carbohydrate foods to promote a diet that not only helps you cut down on calories but brings superior nutrition to the table for a balanced diet. See how knowing more foods with carbs can get your across the finish line to maintaining your weight. See the positive health effects of the brown rice diet, switching from white rice to brown rice. That's it. No miracle rice required. All you have to do is starting eating brown rice. Rice my not be you staple food. Even if it isn't, simply choosing to incorporate more brown rice in your diet has been shown to be most effective in turn out results. If you are one of those people not completely ready to make the switch, mixing brown and white rice is recommended. Mixing brown rice with white rice, or other varieties such as Miracle Rice, not only do you get the benefit of brown rice, but with the familiar of white rice. Brown or white rice, what's the difference between? If you would prefer a tuna sandwich over a bowl of rice for lunch, then you would know that wheat is more nutritious than white bread. Brown rice is wheat for rice. It turns out that both varieties are one of the same. All brown rice is just rice with the husk removed. White rice is polished brown rice. So why is there a gap in nutrition value? Brown rice when compared to white rice contains substantially more nutrition. As a result, there are many dietary, health, and cosmetic benefits that come along with eating brown rice. Unreasonable diets are hard on your body, can negatively affect your skin condition, and quite simply make it harder to slim down. The brown rice diet gives your body the nutrition it needs for clean and healthy weight loss. The nutritional value of brown rice is over twice that of white rice! 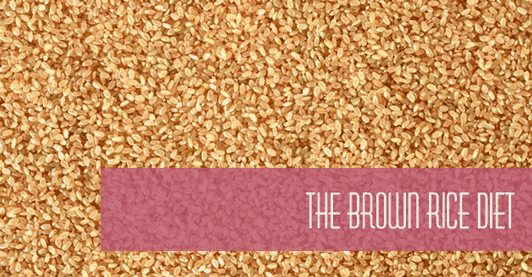 There is an exceptional gap between nutrient-rich brown rice and polished white rite. On bowl of brown rice contains the dietary fiber of 6 bowls of white rice. It also contains 10 times more vitamin E.
Despite the nutritional value, there is no significant different in the number of calories contained. This is advantageous when beginning to think about switching to brown rice, the same calories with extra nutrition. Brown rice contains minerals such as potassium, calcium, magnesium, phosphorus, iron and zinc, and B vitamins and vitamin E to give your body what it needs to trim down body fat, reduce stress, and relieve constipation. People who eat brown rice generally have stronger metabolisms than people who eat white rice. How does it work? Your basal metabolic rate (BMR) is the amount of energy required doing nothing but breathing and digesting food. What this means is that the higher your BMR, the easier it is to burn of calories through respiratory function and digesting, making it harder to gain weight. It turns out that brown rice works to prevent the amount of sugar being absorbed in your bloodstream. With restrictive access to sugar, you body's sugar level drops. When your body is low on sugar, it begins to metabolize fat stores, strengthening your BMR. Brown rice, due to the large amount of dietary fiber it contains, is thought to be much rougher than white rice. 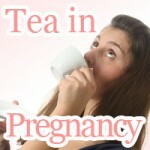 This roughness can affect how you go about your diet. 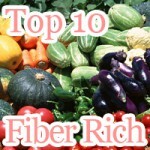 Like any food containing a substantial amount of dietary fiber, not chewing enough is a sure recipe for indigestion. When eating brown rice, not chewing enough, you are more likely to suffer from indigestion than when eating white rice. However, one good thing about brown rice, the other side to indigestion, is that by chewing your food more, it becomes easier to control your appetite. That means you are less likely to overeat. There are many people that say that switching to brown rice can help you lose weight. Chew your food to eat less and slim down without having to starve your body. One problem with brown rice is that it requires more chewing than white rice. It turns out that this isn't such a bad thing after all; chewing your food more and brown rice can help you get full eating less. Rice flour is better for you when you are dieting!? It may be time to switch from wheat flour right away or just start eating rice pasta for a change. 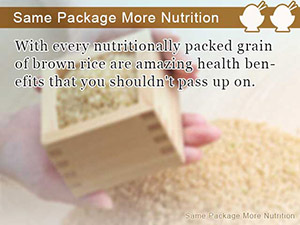 With every nutritionally packed grain of brown rice are amazing health benefits that you shouldn't pass up on. The color of rice goes way beyond presentation. 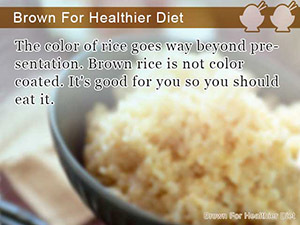 Brown rice is not color coated. It’s good for you so you should eat it. 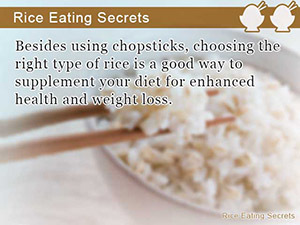 Besides using chopsticks, choosing the right type of rice is a good way to supplement your diet for enhanced health and weight loss.